Angela O’Donnell’s deliciously sassy poems are born of her deeply Catholic imagination. A professor of English and the associate director of the Curran Center for American Catholic Studies, O’Donnell builds a house of saints, canonized or not, including some who have never been associated with sainthood in the traditional sense of the word. Saint Sinatra and Other Poems is also a celebration of the sensual plea­sure of poetry. The entire volume is marked by the distinct joy O’Donnell takes in the sound and rhythm of language. In the concluding poem, in which she calls the reader to “crack k’s with your crowns / roll l’s across your taste-budded tongue,” we hear the voice of a female poet whose creations beckon to readers with a hearty “mangia!” And so we do. We lip-synch along with Edna St. Vincent Millay (“What lips my lips have kissed and where and why / are lips my lips have missed, and so I try”) and enjoy the fine rhymes and taut rhythmic structure found in a number of O’Donnell’s poems like well-defined muscles. The deftly crafted sonnet that opens the “Household Saints” section is an ekphrastic poem inspired by a charcoal drawing by Margie Crisp, “Inferno on Dumbwater Creek,” which also happens to be on the cover of O’Donnell’s debut poetry collection Moving House. The dramatic description of a burning house is followed by the responses (or lack thereof) from things that are present on the scene: the moon, the windows, the clouds. The image of a collapsing house provides a viable counterpoint to the poetic structure of O’Donnell’s book, which enshrines both orthodox and unorthodox saints. The house could symbolize one’s past and present homes, the architectural arrangement of a poetry manuscript, a house of God, even the Catholic Church. The poet’s fiery imagination seems to cleanse and bring new life to stagnant, calcified notions of faith and art. The debated link between faith and art occupies much of “The Con­ver­sation,” a long six-part poem placed in the book’s middle. It is based on the final meeting between Thomas Merton, the iconoclastic Trappist monk and author, and Czeslaw Milosz, the acclaimed Polish poet and political exile. This open-form, quote-driven poem doesn’t showcase O’Donnell’s sonic mastery, and despite the title, the collage of quotes does not synthesize into a conversation but portrays the two great minds talking past each other. Still, a scene of such “minds” joining for a night of a fleshly feast is artfully rendered. What underlies this scrumptious dinner is the tension between the maker and the made, the singleness of the universal faith and the delightful multiplicity of the world. If the art of verse-making calls the poet to become, indiscriminately, legions of people and things of this world, are we to call it a work of demons or angels? As we exit O’Donnell’s eclectic house of saints and unique hagiography, she leaves us with what’s more a puzzle than an answer. The final poem, “Poet’s Heresy,” pronounces poetry “lies & truth, death & life,” “every thing & no thing at all.” The end of the poem adopts eucharistic language: “It is my body & blood. / Here. Take. Eat.” Is poetry equal to sacrament? The gravity of such a notion is best understood by those who have tried their hand at writing poetry. No matter whether the verse is about saints or devils, writing it is an act of giving oneself away, though not without artifice, disguise and awareness of one’s limitations. What comes out of the poet is and isn’t real. O’Donnell’s collection of poems provides a Walt Whitman of menus, mirroring her serious engagement with the corporeal essence of Catholic imagination and its symphonic appetite. Its variety is pleasurable and challenging. It is also an act of faith. Angela O’Donnell’s new collection of poems is a lives of the saints—of a sort. Nearly every poem is a tribute to a particular saint, but not all are officially canonized in O’Donnell’s own Catholic tradition. Yes, Teresa of ávila, Thomas Aquinas and St. Francis ofAssisi are here. But O’Donnell also boldly proclaims many saints of her own, including the biblical Eve, Emily Dickinson, Seamus Heaney and of course the book’s title saint, Frank Sinatra. though dying gladly takes more art. St. Lucifer and Christ watch and weep. roll l’s across your taste-budded tongue. Peggy Rosenthal’s books include The Poets’ Jesus and Praying Through Poetry: Hope for Violent Times. In his letters, the Apostle Paul usually addresses the churches, such as the churches at Corinth and Thessalonica. In his letters to the Ephesians and the Philippians, Paul speaks to the “saints.” Peter speaks to “God’s elect.” But while different terms are used, all are generally understood to mean the people – the living people – who comprised the churches in these cities. When Paul wrote to the saints in Ephesus and Philippi, he was not addressing people who had been recognized and canonized as something special and different after their deaths. And so too today, in most of the Protestant traditions (Anglican and Episcopal being obvious exceptions), the terms “saints” refers to the living, breathing members of the church. And then there’s Saint Sinatra. I have to say that I laughed when I saw the title of this collection of poems by Angela Alaimo O’Donnell. I’ve never really considered Frank Sinatra a saint, even in his early singing career when young women (like my mother) swooned over those famous blue eyes. Yet his poem, the title poem, leads this volume. And it should. It is a collection that is at once serious and humorous, focused and yet playful. It speaks to and about saints who are both familiar and known for being saints (like “St. Kate,” or Catherine of Siena), as well as those who are not – like St. Ikaros, the mythical Icarus who flew too close to the sun. And O’Donnell includes a variety of literary figures to populate her saintly domain here – like St. Seamus (Heaney, the poet), St. Melville and St. Hawthorne, St. Edna (Vincent Millay) and St. Emily (Dickinson). The poem entitled St. Seamus, for the Irish poet and Nobel Prize winner, is a kind of praise and giving thanks psalm, and is an indication of how O’Donnell has written and organized her poems. past the last line of the taut sonnet. There is much to plumb in this poem, not the least of which is the connection between art and faith, or how art expresses faith, and how faith is revealed in art. and sent us on a pilgrimage to find it. The maker loves the maker and the made. Other poems include O’Donnell’s responses to seeing Vincent Van Gogh’s “Sower with Setting Sun” on the feast day of St. Francis and an exhibition of paintings by J.M. W. Turner at the Metropolitan Museum of Art. O’Donnell teaches English, Creative Writing and American Catholic Studies at Fordham University in New York City. She’s previously published two chapbooks and a full-length collection of poems, Moving House. Her poems have appeared in such journals as Christian Century, Comstock Poetry Review, Potomac Review and Xavier Review, among many others. She’s also been nominated for a Pushcart Prize and The Best of the Web Prize, and was finalist for the Foley Poetry Award, the Elixir First Book award and the Mulberry Poets & Writers Award. And in Saint Sinatra, she’s given us the poetry of the saints, all of the saints, including those who are recognizably ourselves. 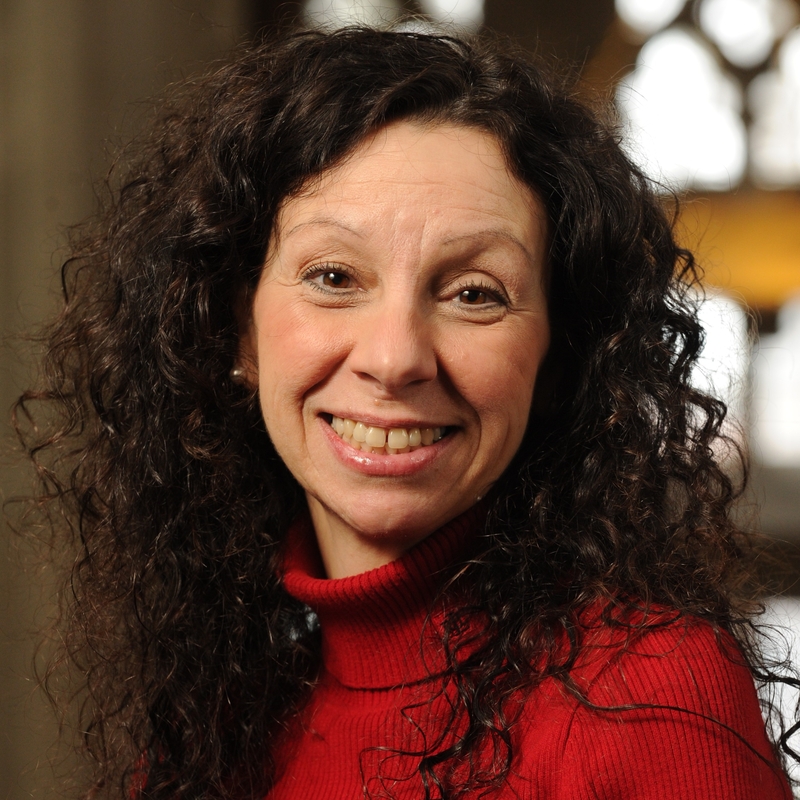 Angela Alaimo O’Donnell’s latest book of poetry, Saint Sinatra and Other Poems, is at once both meditative and challenging. Throughout the collection, the poet-scholar imaginatively invokes the personalities of recognized and unrecognized Catholic “saints,” while artfully calling into question the traditional boundaries between the sacred and the ordinary. For O’Donnell, holiness is simply beauty, in whatever form it takes: as she observes in an interview with The Weekender, “The ‘Sinatra’ project is really about celebrating the joy and delight that beauty, in all of its forms, brings our lives.” In O’Donnell’s perspective, beauty is found in the untold struggles of traditional saints, while artists and musicians with shady pasts are canonized for the ways in which they make beauty incarnate. Ultimately, this celebration of unexpectedly sacred beauty results in a deeply Catholic poetry that is playful yet respectful, and especially alert to the sacramental aspects of the artist’s vocation.O’Donnell blends the religious and the secular in “Saint Sinatra,” the title poem which is set apart from the book’s other six sections. Here, O’Donnell uses religious imagery against a secular backdrop to paint a new picture of this unlikely saint. It is not legendary self-mortification or remarkable works of mercy that earn Frank Sinatra a place in O’Donnell’s litany—-far from it. Instead, it is Sinatra’s “blue-eyes smiling,” “skinny legs draped/in gabardine,” and “smooth/slide down the scale of desire” that are heavenly. O’Donnell makes the argument in smooth rhythm and original rhyme for Sinatra’s “canonization”: in spite of the singer’s dubious personal life or lust-inducing performance, his music is still beautiful and therefore, in the poet’s view, an instance of art’s holy presence in everyday life.Elsewhere, as in “St. Sinatra,” O’Donnell expands the traditional definition of “the holy” for several purposes: in order to sing the praises of musicians, literary figures, and artists (“St. Clarence,” “St. Melville,” and “St. Vincent,” to name a few) who have contributed to the world’s beauty and sacredness; to meditate on moments in Christ’s life as if she were witnessing them herself (“The Vigil” and “Mary’s Promise,”); and to bless the ordinary moments of days that become extraordinary when God’s grace is revealed (“On Seeing Van Gogh’s ‘Sower with Setting Sun’ on the Feast Day of St. Francis,” and “Waiting for Ecstasy”). 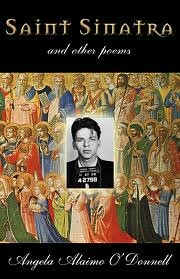 But it is in Saint Sinatra’s first two sections, “Sisters” and “Brothers,” that O’Donnell’s poems approach the ideas of beauty and holiness from a decidedly different angle. In writing about some of the Catholic Church’s most beloved saints, O’Donnell adopts a tone of comfortable familiarity, employing dramatic monologue or addressing them as equals. (She even refers to St. Catherine of Siena with a nickname, affectionately titling the poem about her, “St. Kate.”) In these poems, O’Donnell uses her imagination to fill in the gaps in the biographies of these saints, often revealing the more ambiguous, human side of their personalities. She writes of Martha’s projected struggles with jealousy in “St. Martha” and speaks in Thomas Aquinas’ voice to describe a moment of clarity after much despair in “St. Thomas”:“You have set me on fire,/O my Lord, at the last,/after years of scut and cold smolder.” These poems imply that beauty, and therefore holiness, are found in the struggles each saint endures on his or her way to Heaven. These poems also make use of a distinctly Catholic vocabulary, referencing attributes, biographical information, or legends related to each saint, adding a special richness for readers familiar with these traditions.O’Donnell’s best poems are those in which she is able to slip effortlessly into a deep sense of sustained rhythm, unifying sound and sense. While some of the longer poems do not fully achieve this level of rhythmic cohesion (“Letters to My Heart,” and “The Conversation”), this collection contains an impressive number of expertly crafted sonnets which join condensed meaning to pleasing sound. In other poems, such as “St. Lazarus,” O’Donnell creates her own special pattern of rhythm. In this poem, and several others, O’Donnell paces herself well and selects subtle slant rhymes that keep her language fresh. Of St. Lazarus’ waking from the dead, she writes, “He licks his lips and wags his muscled tongue./ Flexes each foot till the warm blood comes…” Ultimately, O’Donnell’s impressively unified book becomes an incarnation of her own creed: the fluent sound and confident rhythms of these poems, paired with O’Donnell’s profoundly Catholic and imaginative worldview, are themselves evidence of art’s compelling presence in our world.